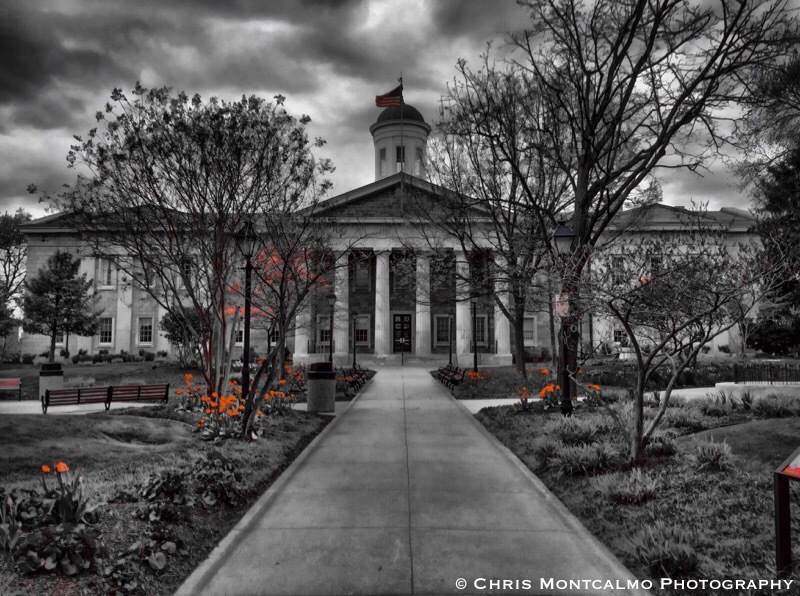 This is a lovely photograph of the historic courthouse in downtown Towson, Maryland. What really struck me as I took in the scenery were the bright red roses blooming along the walkway leading to the courthouse. It was a somewhat cloudy day so I really wanted to bring out the clouds and the red flowers, while giving a more historic look to the courthouse itself. The end result is above.